Diabetes mellitus is a metabolic disorder which is characterised via increase in the blood glucose level. The pathological hallmark of diabetes mellitus includes macrovascular and microvascular complications (Chawla, Chawla & Jaggi, 2016). The following essay aims to discuss the pathophysiology associated with the macrovascular complications followed by assessment and proper diagnostic criteria for the disease condition and subsequent treatment and strategic management of the diseased condition. The main pathological mechanism of macrovascular complications of diabetes mellitus (DM) is the development of arthrosclerosis (Bullock & Hales, 2016). Increase in the blood glucose level creates vasodilation of the blood vessels leading to the chronic injury to the walls of the arteries. This arterial injury causes inflammation leading to an inflammation in the walls of the coronary and peripheral vascular system and giving rise to atherosclerosis. The inflammation in the walls of the tissues of the cardio-vascular system, especially the walls of the arteries cause oxidation of the lipids which are present in the form of low-density lipo-protein under the influence of angiotensin II. The lipids in its oxidized form accumulate in the endothelial walls leading to the narrowing of the arteries further and creating cardiovascular complications (Bullock & Hales, 2016). The activation of the inflammatory pathways leads to the stimulation and proliferation of the macrophage and simultaneous attraction of the T-lymphocyte at the site of inflammation. This activated T-lymphocyte induces the proliferation of the smooth muscles present inside the arterial walls along with simultaneous accumulation of collagen inside the arteries. The cumulative effect of these cause thickening of the walls of the arteries and then narrowing of the arterial diameter which increases the severity of the atherosclerosis and thereby causing macrovascular complications of diabetes (Marieb & Hoehn, 2015). According to Chawla, Chawla and Jaggi (2016), diabetes is characterised by hyperglycemia that is increase in the blood glucose level concentration. Hyperglycemia promotes the adhesion of the macrophages and other phagocytic cells inside the arterial cells. The adhesion of monocytes triggers type 1 hypersensitivity reaction under the influence of the primary hypersensitivity mediators. The deposition of the release of the primary mediators of the type 1 hypersensitivity reactions narrows the overall diameter of the arteries further and increases the risk of cardiovascular accidents. Increase in the blood glucose level cause activation of the matrix-degrading enzyme metalloproteinase which cause rupture of plaque and arterial remodelling leading thickening of the arteries. Diabetes also causes increase in the secretion of primary inflammatory mediators and inflammatory cytokines like C-reactive protein, plasminogen activator, interleukine-6 that leads to activation of the macrophage extravasations. Macrophage extravasations cause activation of the protein-kinase pathway and inflict inflammatory reaction and increases vulnerability of developing macrovascular complications of diabetes (Hartemann et al., 2013). Increase rate of platelet adhesion and increase in the tendency of hypercoagulability is another pathophysiology underlying the development of macrovascular complications (Domingueti et al., 2016). Increased rate of platelet adhesion cause secretion of reactive oxygen species (ROS). ROS causes increase in the generation of the free radicals with altered calcium regulation promoting platelet aggregation. Platelet adhesion cause impaired nitric oxide generation with increase in the secretion of plasminogen activator inhibitor type 1. This causes fibrinolyisis in diabetic patients. Fibrinolysis causes activation of platelet coagulability leading to vascular occlusion followed by a series of cardiovascular events. Such conditions are more common among the patients with type 2 diabetes mellitus (Domingueti et al., 2016). According to Donaghue et al. (2014), the assessment of macrovascular complication of diabetes should start after the age of 10. The primary screening for macrovascular complications include assessment of the lipid profile in the blood serum of the individuals after every 5 years. Apart from the assessment of the lipid profile, maintaining record of the blood pressure level is also important and this must be done yearly in case of young adults and then on monthly basis among the older adults. Chiang, Kirkman, Laffel and Peters (2014) argued that people with no family history of diabetes but has developed type 1 diabetes mellitus during the course of life, should undergo regular screening of the blood glucose level either monthly or yearly. This screening must depend upon the severity of the disease in order to detect the early symbols of the vulnerability of developing macrovascular complication of diabetes. If an individual with type 1 diabetes have a genetic predisposition of diabetes along with a family history of developing cardio-vascular disease then fasting lipid profile must be implemented as an important screening tool for the detection of the macrovascular complications of diabetes. If lipid screening is found be abnormal then monthly screening of the blood cholesterol level along with lipid profiling is recommended. In case of individuals with type 2 diabetes mellitus, the screening of the lipid profile must be done after every two years of the lipid content of the blood is found within the permissible range. However, if the lipid profile is found to be at the upper limit of the range then annual screening is recommended (Chiang, Kirkman, Laffel & Peters, 2014). Other hallmarks of the macrovascular complication of diabetes apart from blood serum concentration of lipid include screening the blood albumin level for the detection of microalbuminuria. Microalbuminuria is detected through screening of more than one sample for tenure of three to six months. Persistent microalbuminuria is found to predict a complex stage of macrovascular disease complications which is characterised by real failure (Gæde et al., 2016). According to Gæde et al. (2016), loss of nocturnal dipping as recorded through blood pressure monitoring is highlighted as an early hallmark for the assessment of the macrovascular disease complications. Noctural dipping promotes the development of renal hypertrophy which eventually strengths the vulnerability of developing macrovascular complication of diabetes. The diagnosis of the macrovascular complication of diabetes can be done via the use of the diagnostic tool. In relation to this Papa et al. (2013) conducted a population based cohort study with 1199 diabetic individuals in the outpatient department who have a history of cardiovascular complications as highlighted through their cardiac index, brachial index, duplex ultrasonography of the lower limbs and carotid, peripheral arteriography and computed tomography. The assessment of the macrovascular complications highlighted that phenotypic heterogeneity is associated with the vulnerability of developing type 2 diabetes, which will eventually leads to onset of microvascular complications followed by macrovascular complications. Depending on the phenotypic heterogeneity, the development of diagnostic tools and the other therapeutic strategies for the macrovascular complications can be shortlisted (Papa et al., 2013). According to Chawla, Chawla and Jaggi (2016), an important diagnostic method that can be used for the detection of macorvascular complications of diabetes is ultrasound of the bronchial artery. This helps in the detection of the flow-mediated dilation condition of the artery and thus helping to ascertain the cardio-vascular condition. Other diagnostic tools that can be used for the detection of macrovascular complications of diabetes include angiogram, cardiac catheterization and echocardiogram. These cardiovascular imaging tests help to analyse the exact location of the thickening of the arteries. Chawla, Chawla and Jaggi (2016) argued that cardiovascular imaging techniques are effective non-invasive technique that can be used for diagnosis of macorvascular complications in diabetes. 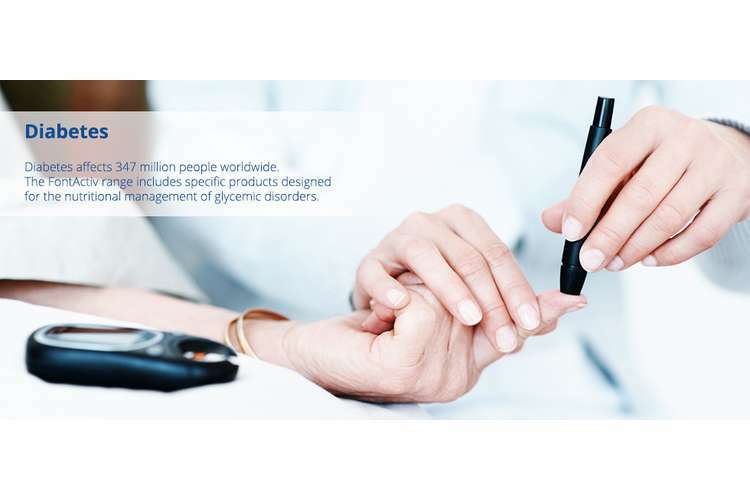 The core of treatment and management of macrovascular complications of diabetes include proper physical exercise, observance of healthy lifestyle and diet, disease healthcare education and psychological support. Medical nutritional therapy is regarded as an important means for the management and treatment of MVD. The medical nutrition therapy mainly promotes healthy eating patterns which emphasize on the consumption of nutritional food rich in fruits and green vegetables (Brown, Edwards, Seaton & Buckley, 2015). Increase in the consumption of fruits and green vegetables and decrease in the consumption of carbohydrate, fat and sugar promotes reduction in the lipid content of the body along with the reduction in the blood glucose level. This nutritional diet plan must be devised based on basal metabolic index of individual under the controlled supervision of a professional dietician (Brown, Edwards, Seaton & Buckley, 2015). Physical activity is another important aspect for effective regulation of macrovascular disease complication in diabetes. Increase in the physical activity reduces the overall sedentary time and thus increasing the provision for burning of the extra calories and decrease in the overall blood glucose level. Rigorous physical activity is recommended for the young adults and mild to moderate physical activity like 15 to 30 minutes walk is ideal for the older adults who are above 60-year (Brown, Edwards, Seaton & Buckley, 2015). According to American Diabetes Association (2015) smoking cessation and reduction in the consumption of alcohol helps to decrease the severity of diabetes and thus decreasing the chance of developing macrovascular complications. The treatment of macorvascular disease complication in case of diabetes can be done via the use of the subcutaneous insulin injection in order to effectively manage the hyperglycaemic shocks and this reducing the chance of developing macrovascular complications from hyperglycemia. However, the dosage of insulin needs to be adjusted as per the prevailing blood glucose level, body mass index and age of the patient (Brotto & Rafferty, 2016). The management of macrovascular complication of diabetes can be done further via managing high blood cholesterol level and blood serum of lipid under the application of effective pharmacological interventions (Bullock & Manias, 2016). Thus from the above discussion, it can be concluded that macrovascular complications of diabetes mellitus mainly arise from inflammation in the walls of the arteries. Arterial inflammation leads to the thickening of the arterial wall followed by narrowing of the arterial diameter. This leads to the development atherosclerosis followed by marcovascular complications. The main diagnostic tool used for the detection of macrovascular complication include cardiovascular imaging techniques and periodic check-up of the blood glucose level and lipid level of the blood helps in the assessment of macrovascular complications. The management of the condition can be done via observance of healthy lifestyle. The treatment of the disease can be done via proper medication management. 12. Marieb, E. N., & Hoehn, K. (2015). Human anatomy & physiology. Pearson Education 10th Ed.